Departs from Cairns at 6:00pm every Thursday (checkin before 4:00pm) and returns at 8:00am on the following Thursday. Visits the prime Ribbon Reef sites in the Coral Sea. 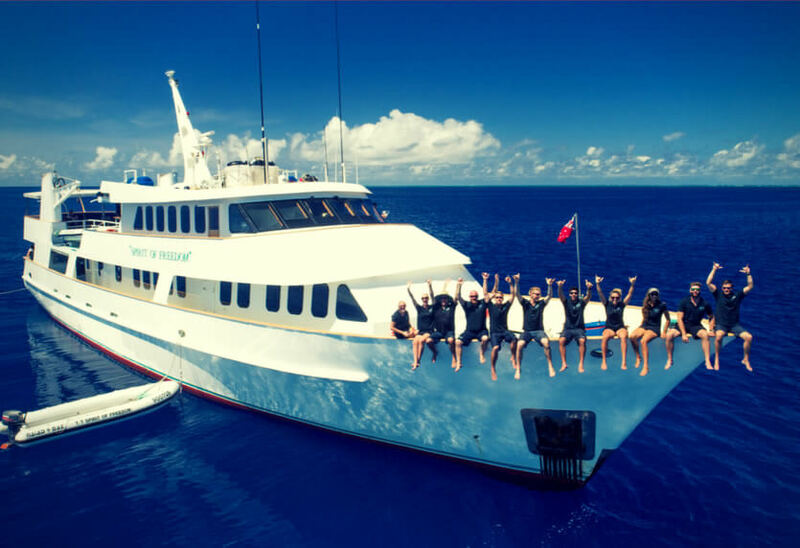 approximately 3 dive sites per day with unlimited dive time and 26 dives in total. All diving is north of Cooktown, and although this is a combination of the two trips, there is no repeat dive experience. There is a maximum of 28 passengers and 12 crew, a spacious dining room, lounge and alfresco deck. Chef prepared meals, complimentary soft drinks and Australian wines with dinner. There is also a complimentary eco program offered. Accommodation options include Premium, Standard, Club and Budget. Prices range from $3704 plus $20 reef levy plus equipment rental if applicable. You can rent an underwater camera on board for $60 per day. Alternately, you could choose from the top-of-the-range and latest model digital cameras from Cairns Unlimited digital underwater camera rental for just $184 for the entire trip. This is GUARANTEED the best price on underwater camera rental in Cairns… AND you keep the high speed 8GB SD card at no extra cost! The vessel departs Cairns at midday Monday with a complimentary bus transfer at 11:00am, and returns on the following Monday at 7:30am. As well as diving and snorkelling also on offer is a chance to visit Lizard Island on the Thursday. Also included in price is ensuite bathrooms with daily service and chef prepared meals with wine. Overall up to 26 dives are offered including night dives, also offered is a guided walk along Watson’s bay. Accommodation options include ocean view cabins, staterooms, double and twin and quad-share. Prices range around $3500 plus taxes/levy. For an extra $245 dive equipment is supplied throughout the trip. 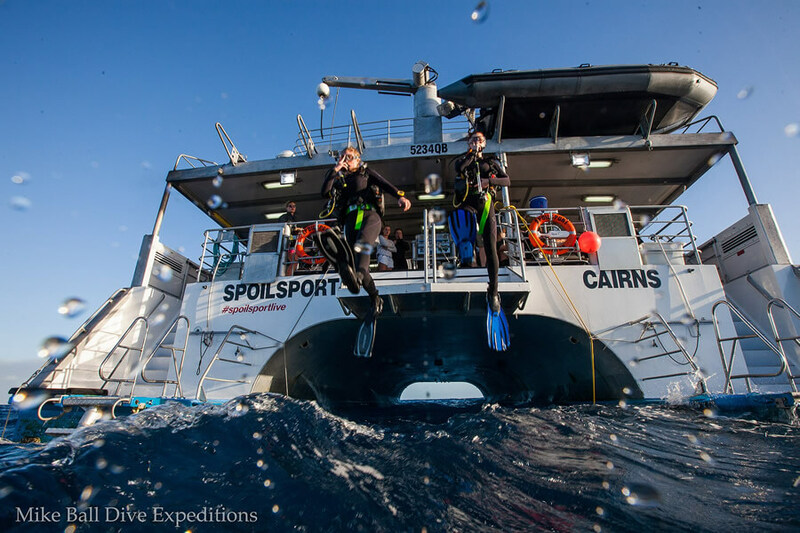 Underwater cameras are available for hire on board this Cairns liveaboard at a cost of $65 per dive or $105 per day. Alternately, you could choose from the top-of-the-range and latest model digital cameras from Cairns Unlimited digital underwater camera rental for just $184 for the entire trip. This is GUARANTEED the best price on underwater camera rental in Cairns… AND you keep the high speed 8GB SD card at no extra cost!